How can you improve the results of your email marketing? Digital marketers know that email marketing can help win new business and get repeat business from existing clients. Download the ultimate email cheat sheet of best practices from Uptica, a results-driven marketing & advertising agency. 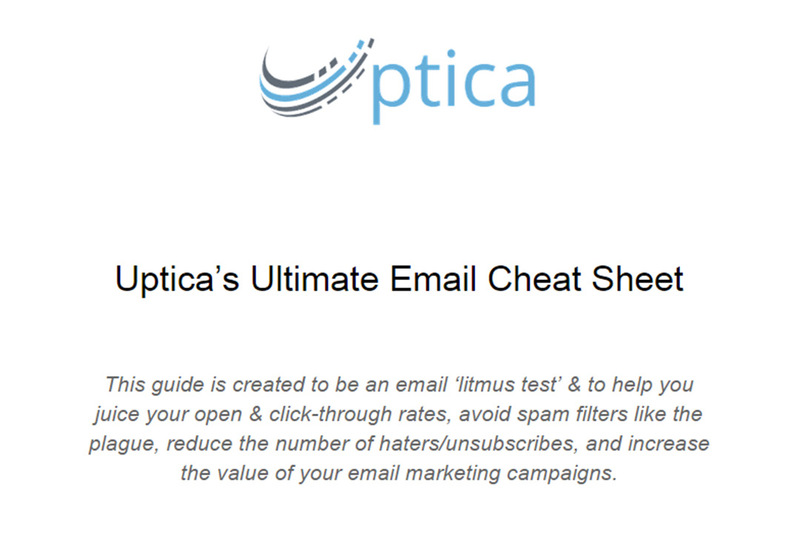 What’s included in Uptica’s Ultimate Email Cheat Sheet? Ready to optimize (or start) your email automation? If you don’t have an organized or automated email workflow, you’re probably spending too much time writing emails, or you’re sending out the same email to everybody (this isn’t effective). Does this resonate with you? Maybe it’s time to explore your options and see what email marketing solutions are out there. Talk to us and find out.